smoveyMED is our latest and improved version which has been updated by Swiss Neurologist Dr. Ivan Di Stefano and is supported by his team of neuroscientists and medical doctors. Dr. Di. Stefano, who treats mainly patients with Dementia, Alzheimer’s and Parkinson’s had been working directly with the original Smovey classic (green rings) and was so impressed with how effected they were and how fast they helped his patients with balance, coordination and their digestive system. Dr. Di Stefano was requesting clinical trials and evidence of Smovey so he could introduce them to his clinic. Unfortunately, it costs over €100,000 for clinical trials for Smovey to prove the effectiveness and Smovey company is only a small family run company in Austria , could not validate the cost of the research. They want to keep the price of this amazing and effective tool affordable for everybody and if they went ahead with the research, the price of Smovey would have to increase dramatically. Dr. Di Stefano, who is well known in Switzerland to be a Neurologist that supports holistic treatments, said this was too good of a productive not to have and that all patients with neurological conditions should be given the opportunity to get relief with smovey. He believed in the product so much that he personally invested in it, made it even better and smoveyMED was born. He worked directly with the original inventor (Saltzhands who has Parkinson’s) and the producers to make the original even more effective. Dr. Di Stefano could see some of his older patients could not lift the classic as they were not strong enough and that the balls were banging off either side causing a shock to some brittle bones. So together with the engineers they made smoveyMED. There are 2 different sizes of smoveyMED one, like the classic with 4 balls ( 510g) or smaller ones with 3 balls ( 440g) with dampening elements on either side so the balls don’t bang off each other making it easier to swing. The plastic tubing is also different to the classic and creates even a higher vibration and frequency which is causing it to be more effective than the classic with less effort. Dr. Di Stefano is currently carrying out his own research with smoveyMED with his patients specifically with Dementia and Parkinson’s. Also Gerda Delauny of smoveyMED in Austria is currently doing her PhD with smoveyMED with children. She has found by working with kids, the vibrations are making the kids focus better in school and relieving anxiety. The kids love smoveyMED and while it is a fun activity for them to do, this will also help increase strength, coordination and combat childhood obesity which is a growing problem. I personally have clients with Dyspraxia and Autism and extremely positive results are found with these too. smoveyMED has a full team of doctors including Neurologist, Neuroscientist & Medical doctors who have all found great improvements with their patients. Dr. Peter Levine, who is a World renound Psychologist and developer of Somatic Experiencing also highly recommends smoveyMED to assist in regulating of the central nervous system. Who can benefit from using Smovey? Everyone! Fitness Enthusiasts – Increases the effectiveness of your fitness programme. Everyone who likes to walk – Enjoy nature and train your body at the same time. Elderly people – Gives back mobility, coordination, and security. Aqua Fitness – Joint-friendly exercises in the water. Children & Students – Promotes exercise and improves concentration and coordination. People with disabilities – Improves mobility/fitness, improves circulation and helps the body feel better. We’re so confident that you’ll be delighted with your experience, that we will refund 100% of your purchase, no questions asked. Enjoy an increased level of energy and happiness by stimulating and harmonizing the flow of Qi (energy) through the 3 Yin meridians and the 3 Yang meridians. Access guidelines, training, and support to help you get the most out of Smovey. Let us help you to relax and feel relief with Smovey Health. 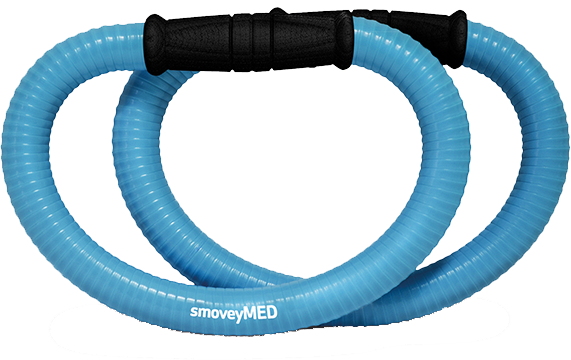 Smovey was designed to offer an increased level of fitness, happiness, and relief, by stimulating the body and mind in a fun and enjoyable way, free of heavy lifting or impact training. If you would prefer to order your set over the phone please do not hesitate call us on +353 85 8525766. We are happy to process the order for you. Order you smovey today using our conevnient and secure online checkout. We accept all major payment cards and deliver to all countries in Europe, Asia, Africa and Australia/Oceania. If you have any questions or comments, please let us know via the online enquiry form.